Attack 1 : MUDKIP POWER!!! 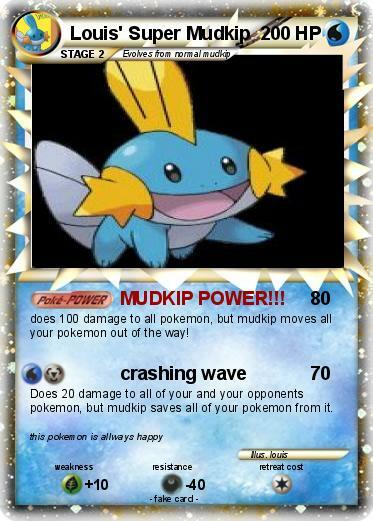 does 100 damage to all pokemon, but mudkip moves all your pokemon out of the way! Does 20 damage to all of your and your opponents pokemon, but mudkip saves all of your pokemon from it.